It's the first day of October. Which also means it is Theme Day for the Daily Photo Blogger folks. The theme for October is Lines. 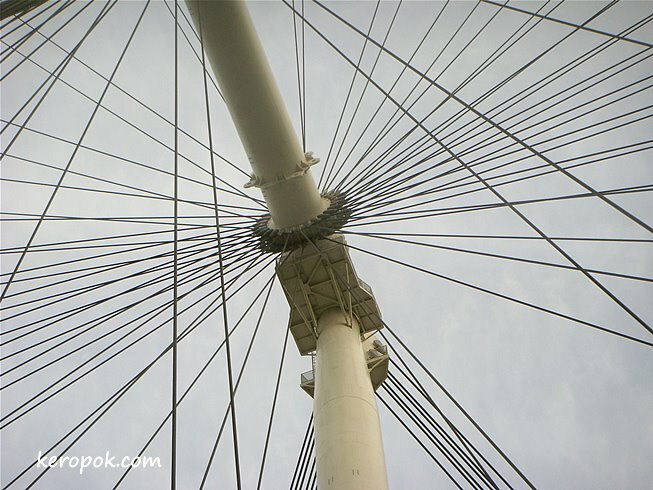 Here's lines from the Singapore Flyer. Oh, just before you board it, the 'lines' or barcodes from your ticket has to be scanned first. You can also visit these cities who are participating in the Theme Day. Due to time differences, some post might not appear as yet. How fascinating and fabulous. Great photo. Love that you included the ticket. That is some pricey trip!! 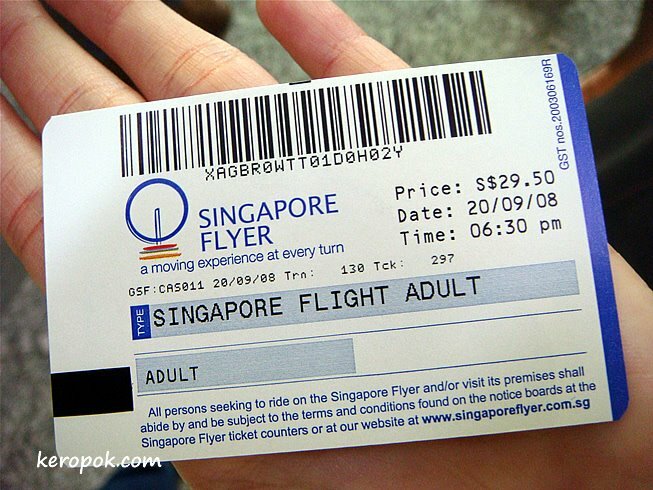 How long do you get to spin around for S$29.50? Little and Large lines. Unique idea for the theme. Is it bigger or smaller than the London Eye? Very interesting lines there. I have yet to take the flyer. Fantastic photo. Perfect choice for 'Lines'. I visited Sentosa but missed the ride on the flyer. Will visit soon. Great shot there for the month theme. Yes, i also agreed it's kind of pricy if the whole family goes for a ride (hence have not gone for the ride yet)...must get those NTUC discounts which can have it for around $16! Love the tennis courts too! We are all a creative bunch aren't we? Think there are some offers nowadays to catch the ride at a cheaper price. I think UOB cards have discounts for them. NTUC seems to have discounted fares too. So expensive for adult S$29.50 (RM71.55). If I went vacation in Singapore, I better drive whole Singapore with my Malaysian registered car with S$5 ERP fee regardless how many ERP gantry moved and top up my Autopass for such that value. I also never ride eye on Malaysia because expensive. How many flyovers in Singapore?